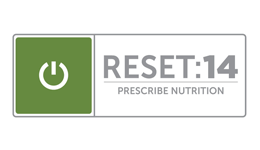 I just spent two weeks doing a “Reset.” Basically it meant I didn’t eat Gluten, Dairy or Sugar. Or at least I tried to not eat Gluten, Dairy or Sugar. The Gluten was pretty easy, the Dairy was a breeze, even the Sugar was pretty easy. Except that Wine is classified as a Sugar. Oops. I guess I snuck in some sugar. Overall I felt great. I actually didn’t feel horrible going into it, but for a couple years I’ve been curious to see how my body would respond to eating this way. I love good bread. And I love good cheese. And, well, I love good (or bad) wine. But during those first seven days I felt good. I felt lighter and healthy. When I cut out grains for four days I still felt good, but I was really hungry. Then I was supposed to eat just fruits and vegetables (soups, smoothies, etc) for two days. I made it one. And then I caved. Gluten-free bread never tasted so good. Since I finished, I’ve done what I could to avoid Gluten. The only dairy I’ve consumed has been in the form of cheese, because, well, how can you skip a good cheese? And Sugar? Sugar is not a problem. But wine is so good. Will I continue this “diet?” I think there will be moments of control and moments of real-life. It’s just nice to know that if I have a bagel at lunch I can expect to be sleepy. But if I have a salad and lean protein, or quinoa with a sweet potato, the afternoon will breeze be. Also – Almonds are my new best friend. Seriously.